The Official Site for Stay at Home Moms! I vaccinated my child because there is proof that lack of immunization is dangerous and can be deadly. And not only in the US as illustrated; take Japan in the 1970’s as an example. The rumor that pertussis was no longer a threat and that the vaccine was unsafe caused many parents NOT to vaccinate their children. From 1974 to 1979, the reported cases of pertussis soared from just under 400 cases (and no deaths) to over 13,000 (and 41 deaths). These statistics cannot be denied or ignored. I vaccinated my child because I did not see a reason NOT to. While the diseases that they protect against are deadly, vaccines are very safe. 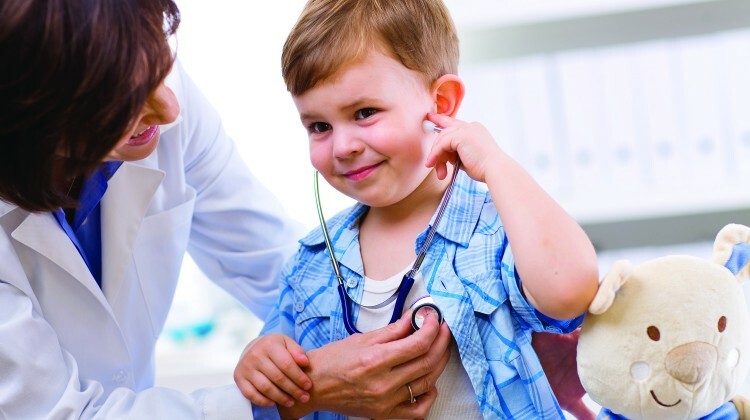 For the most part, if a child experiences any side effects, they are extremely mild. Occurrences of severe side effects are incredibly rare. Many accusations have been made against vaccines but very little hard evidence has been provided to show that they are dangerous. According to the World Health Organization, 2.5 million children die each year from vaccine-preventable diseases. In addition to that, they state that the deaths of 2 million children are prevented by immunizations. That’s 4.5 million children. Would one of them have been mine or yours? There is no way to know for sure, but why would I take that chance? So, in short, why did I vaccinate my kid? I did it to protect my child from an unnecessary illness and/or death. Is it possible to say, without a shadow of a doubt, that there are no unknown side effects of vaccines? NO. However, there is a lot of evidence that says that they are preventing some horrific illnesses. I looked at the facts and approached the decision with reason. This rational decision-making can be hard to do when it comes to our kids. However, if your ultimate goal is the safety of your children, you must examine the evidence without allowing your fear to get the best of you. Hey Mom! Need to Make Some Extra Money? The official SAHM site was tailor made especially for you! If you are looking for parenting tips, jobs for mom or DIY help or maybe just trying to find some thing fun, just spend a few minutes browsing our site. In addition to the wealth of articles, SAHM.org has so much more to offer to the stay at home mom. We pride ourselves on being one of the most comprehensive SAHM resources online.